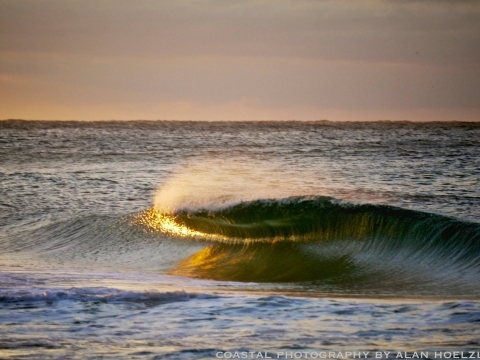 Coastal Photography by Alan Hoelzle ~ interview! Coastal Photography by Alan Hoelzle – interview! Sharing something special with y’all today ~ an interview with amazing photographer Alan Hoelzle! Alan has shared images from his time on the Florida gulf coast and other beautiful spots. He is currently visiting the island of Bali, and so we corresponded on email for this Q & A interview. It was fun getting insight into how he approaches his work and travel. Q ~ What is it you enjoy about coastal Florida and also about Thailand, Bali and other tropical locations? A ~ I’m on the tropical island of Bali, in Indonesia and I’ve been here before several times. I love the people and their traditional society. Basically, I love all coasts. But those with beaches that offer great photo opportunities are the ones I seek out. Q ~ How do you decide what to photograph? Are your photographs more often deliberate choices that you study to determine how best to approach the photo, or are your shots spontaneous moments? A ~ My shots are always thought out. That is, I imagine every possibility, how I’d respond, then look for a situation to increase the odds of success. One of the most important is to make sure I’m up every day well before sunrise. Of course, things don’t usually go as planned, and then the importance of creative reaction to the moment becomes paramount. Q ~ I’m drawn to the water and I also have a very immediate reaction to color, which is probably why I enjoy your photographs so much! What is your strong connection? I’m going to guess “light” based on the photographs I’ve seen. Yes? No? something else? A ~ Light, by far, is the most important thing; it’s the basis of photography. Having said that, color is the result of light, and if you have good light you will have good color. Of course, I love the water, the unbroken horizon, and the feeling of being alone in a beautiful place. So it’s the perfect combination for me. As for my connection, I’d say it’s the feeling of being alone in nature, having space to contemplate. I always go for light quality first as that is what makes a scene special – the few perfect seconds when light is at it’s best. Q ~ Would you share a bit about your approach to photography? Favorite equipment or software? A ~ I’m more of a meditator with a camera and not so much into the tech side. Now with light, small digital cameras my job is so much more delightful than in the old days when I lugged around a heavy tripod and large film cameras. Lately I’ve been spending most of my time learning more about processing and studying color. Just a few days ago I hit on a better way to go about it which produces deeper, clearer results. Getting natural color and presenting it well are much more important to me than camera gear. Q ~ How do you plan your shots and how you will respond to shooting conditions? A ~ Planning means being there well before the sun rises/sets to check out the features – windy, calm, waves or not, etc. I’ll be up an hour before sunrise, turn on some Jazz and fire up a coffee. From yesterday’s observations of tide, cloud patterns, etc, I’ll add some info from the satellite and radar images and make a note of the weather pattern. It’s way too dark to just take a look outside. If it’s low tide I’ll be looking for flat areas with a bit of water left for reflections. Wind direction will give me an idea of what to expect in terms of waves. As for the composition and timing, it’s based on the multiple thousands of other photos I’ve studied and have stored in the brain. Sounds funny, but experience is a real asset – examining and studying other visual arts prepares the mind, (as does the Jazz, in my opinion) to be flexible and responsive in the moment. Q ~ Tell us more about a shooting day? A ~ I’ll go out at the first blush of light and scope out the beach to sum up the available elements that could be used in a photo. Maybe there are a bunch of sandpipers way down there – I’ve built in enough time to get to them. Or maybe some nice ripple patterns in the sand look promising. Most of the time nothing much happens, of course, so I’ll just observe and walk. But if there is a photo to be made I’m very much in work mode – busy planning out how to approach the light conditions and making sure to examine all other possibilities and locations should a change occur. This way when the time comes to shoot I’ve maximized my opportunity to succeed. Q ~ What is going through your mind as you shoot? A ~ I don’t usually respond emotionally to the overall mood, instead focusing on the world created within the viewfinder. Selecting the most important slice of a scene is one of the skills necessary to be good. Timing the moment to create a balanced world with in the frame is another. I leave emotion for later and keep my mind clear so it isn’t overwhelmed with sensations. Q ~ What’s your next project? A ~ Next project is to get some files ready for printing a calendar. Q ~ What would you be doing if you were not a photographer? A ~ If I was not a photographer? Not cut out for anything else! So now when I see Alan’s work, I’ll still be captured by the beauty of the moment ~ and then I’ll think about Alan checking tide and weather charts while drinking coffee, and listening to Jazz to get in his creative zone before heading to the beach before sunrise or sunset. One takeaway for my photography is learning to “focus on the world created within the viewfinder”. I can get so distracted by the moment ~ whether beautiful scenery, or people around me, or ten other things crowding my brain ~ that I end up losing patience and rushing the composition. Perhaps I should take a cue from Alan and listen to Jazz more regularly ~ Dave Brubek’s TAKE FIVE has always been a favorite ~ maybe I’ll start there. Safe travels Alan! Looking forward to your return to the gulf coast! Hey Bobbi – wonderful interview! Such a great prospective to hear an artists thought process for photography. His work is beautiful!